The Strawberry Smash cocktail actually does involve smashing strawberries, or more precisely, muddling them. With basil. And then you add to that vodka, lemon and a bit of agave nectar, and you’ve got a fabulous summer cocktail. This one comes from The Fillmore Room in NYC. The dominant flavor here is definitely strawberry, and using muddled fruit makes it taste so refreshing. Basil has a slightly peppery taste that contrasts with the strawberry and actually brings out its flavor. The whole concoction is one of those “summertime in a glass” cocktails that are just perfect on warm days. 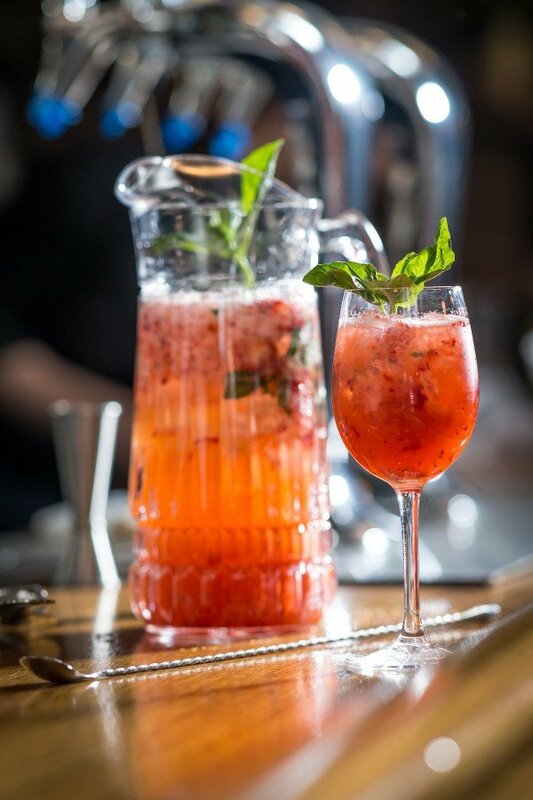 Muddle the strawberries and basil in a shaker. Add ice and the rest of the ingredients, and shake. Pour the mixture into a wine glass or 12 ounce Mason jar. Garnish with a sprig of basil.